Pollution has gone level up where now it is beyond our control. Toxic smog (smoke mixed with fog) forced hundreds of schools in Bangkok to close Wednesday. As the authorities struggle to manage the pollution crisis that has created widespread health fears and has to lead to the political disturbance just weeks before the elections. 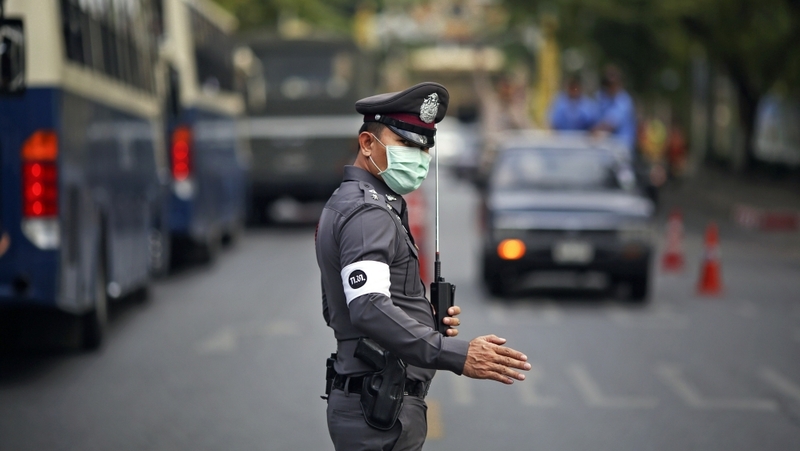 The Thai capital has been wrapped in a haze for weeks now and the media is also slamming the government and is putting up clicks of residents wearing the masks on the streets and on public transport. The reason that led to smog is exhaust from traffic, unfettered construction, the burning of crop stubble, and pollution from factories getting trapped in the city. Authorities have seeded clouds to induce rains, and sprayed overpasses with water to catch micropollutants and have asked people to not burn incense sticks and paper during the Chinese New Year celebrations. The measures have attracted derision from the residents of Bangkok but the pollution masks have run out of stock in many shops. However, on Wednesday the Bangkok Metropolitan Administration took its pollution warning to another level and ordered the 437 city-controlled public schools to close from lunchtime through Friday, designating 1500 square kilometers of the city a “control area”. “The situation will be bad until February 3 to 4, so I decided to close schools,” said Bangkok governor Aswin Kwanmuang, adding he hoped the move would also empty the road of cars on the school run. Three to four of the city’s districts are “severely hit with smog”, he added. Many drones are being used to dispense sugary liquid to help in clearing the air from the microscopic particles. Aswin also claimed that City Hall may also soon issue a warning against exercising in parks. Also, there will be rules passed to control the number of cars on the roads. Air Visual an independent online air quality index (AQI) monitor on Wednesday claimed that Bangkok at the unhealthy lever rose to 171 from the 156 midpoints. The levels of harmful particulates are higher than some of the cities of China but a level below the Indian capital New Delhi. With the Chinese New Year around the corner, even tourism will face great set back. Visitors will be deterred from coming for the vacation. The air is bad and this will affect the tourism business also. The haze has affected the daily life of people but even the effects of the haze will be seen in the political conversation. Thailand will have its first election after the military took over in 2014 coup.